FOCUS TRANSPORT: New Hands on the reins at Stagecoach. 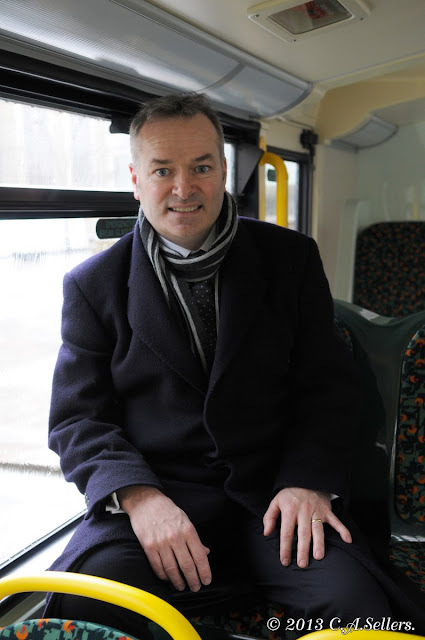 Martin Griffiths has taken over from Sir Brian Souter to become the new Stagecoach CEO. Committee Membership: Health, Safety and Environmental. External appointments: Virgin Rail Group Holdings Limited (Co-Chairman), Robert Walters plc (Senior Independent Non-Executive Director), AG Barr plc (Non-Executive Director). Previous experience: A Chartered Accountant, Martin Griffiths is a former Director of Troy Income & Growth Trust plc. He was young Scottish Finance Director of the year in 2004. Executive responsibilities: Previously the Group’s Finance Director, Martin Griffiths was appointed Chief Executive from 1 May 2013. He is responsible for the Group’s overall strategy and management of all of the Group’s operations.